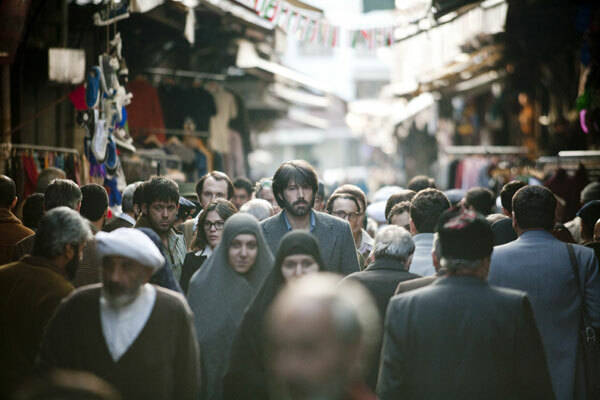 Photo by: KEITH BERNSTEIN of BEN AFFLECK as Tony Mendez in "ARGO," a presentation of Warner Bros. Pictures in association with GK Films, to be distributed by Warner Bros. Pictures.I missed the screening in the cool cinema with excellent sound and picture and I had to make do with an inferior cinema where the sound was so shocking I text the management during the film and followed up with an email later - they still haven't responded - incredible. It's no wonder there was only three other people there. But even under these circumstances the film was excellent, if only I could have sat back and enjoyed the experience instead of leaning forward in an effort to hear the dialogue. In 1979, Tony Mendez, a CIA "exfiltration" specialist struggling with family issues, comes up with a crazy plan and risks his life to rescue six Americans hiding at the Canadian Ambassador's home, after militants stormed the U.S. Embassy in Tehran and took 52 Americans hostage. The covert life-or-death operation was made public in 1997 when declassified by President Clinton. Photo by Claire Folger. 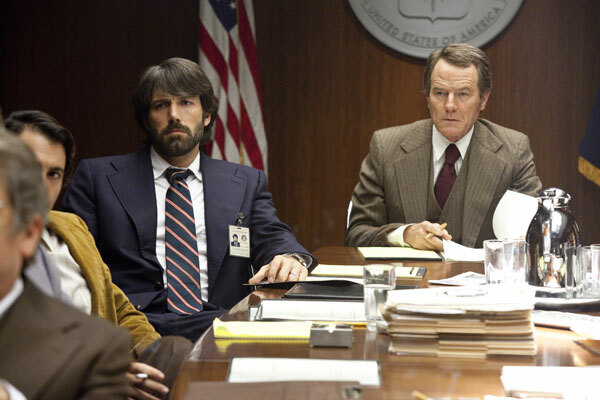 BEN AFFLECK as Tony Mendez and BRYAN CRANSTON as Jack O'Donnell in Warner Bros. Pictures' and GK Films' dramatic thriller "ARGO," a Warner Bros. Pictures release.The film hooked me as soon as I saw Affleck's character was the smart and compasionate guy in the room, willing to put his own life on the line. The script is cleverly written by screenplay by Chris Terrio. The building tension and carefully placed humour was a key factor for me - when the tension went into overdrive in the last quarter and sped to the finale with inter-cutting scenes between Washington, Hollywood and Tehran, I realised I was holding my breathe and almost laughed out loud in relief. I loved the 70's styling, the cool sideburns, wide collared corduroy suits, bell bottom pants and the use of pattern and brown - what a mad creative time in fashion. Photo by CLAIRE FOLGER. KERRY BISH√â as Kathy Stafford, SCOOT McNAIRY as Joe Stafford, TATE DONOVAN as Bob Anders, RORY COCHRANE as Lee Schatz, CLEA DuVALL as Cora Lijek and CHRISTOPHER DENHAM as Mark Lijek in "ARGO," a presentation of Warner Bros. Pictures in association with GK Films, to be distributed by Warner Bros. Pictures. The cast was fabulous and included John Goodman, playing John Chambers, the charismatic special effects makeup artist who created the apes in the Planet of the Apes films and Mr Spock's ears and secretly helped the government when in crisis. It was also a delight to see Bryan Cranston (Breaking Bad) and Alan Arkin playing a fictional producer based on an amalgam of real people. Keep an eye out for Scoot McNairy, in the above photo he's second from the left, at the back. I remember him from the UK creature film MONSTERS. He's a really interesting actor.